Russia’s largest social network VKontakte (vk.com) has changed its owners, with investment fund United Capital Partners (UCP) now owning 48 per cent of the company’s shares. UCP bought the shares from the network’s co-owners Vyacheslav Mirilashvili and Lev Leviyev. The price of the deal has not been made public, but according to unofficial data, in the negotiations with Mail.ru in 2011 the company was valued at $2.75 billion. According to JPMorgan, Mirilashvili had a 40 per cent stake before the deal, and Leviyev – eight per cent. 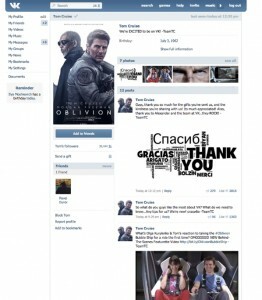 VKontakte is a Russian analogue of Facebook, founded in 2006. It is the largest social network in Russia and has over 42 million users. According to Interfax, the company’s net profit grew by 13.9 per cent in 2011 and reached 516.5 million rubles (over $16 million). The deal comes a few days after the start of the investigation of a traffic incident in Saint Petersburg that might involve the CEO and founder of VKontakte Pavel Durov.